A Loudoun Board of Supervisors’ confab on bus service before and after Metrorail service begins found a big hole in the county’s transit system: Ashburn. 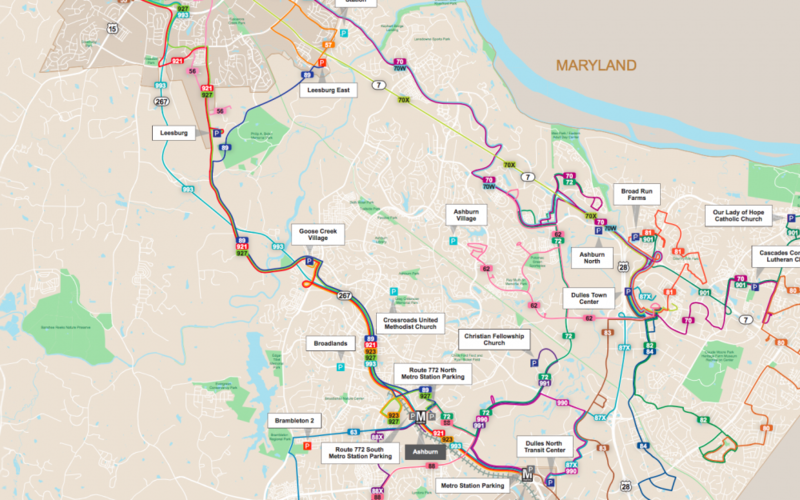 After the Silver Line starts running in Loudoun in 2020, supervisors plan to combine the county’s local fixed route and Metro-Connection services into a new combined transit service. County policy is to encourage people to use Metrorail once it’s available, in part by providing bus transit to Metro stops. 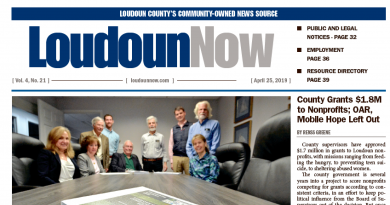 But so far, a big part of the county is left out of those plans—Ashburn. A map of proposed bus routes shows few or no stops in an area of the county that includes major developments like Ashburn Village, Lansdowne, Ashburn Farm, Belmont Country Club, and others. 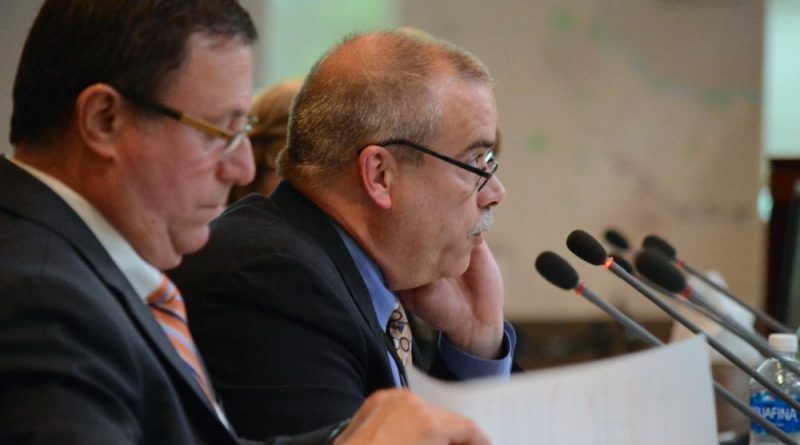 Ashburn District Supervisor Ralph M. Buona (R) called that the “donut hole,” and indicated he would not support any plan that doesn’t solve that problem. Supervisors also had questions about the costs of bus service, which far outstrip revenues generated by the program. He also said local bus service does more than get cars off the road—it performs a “vital” part of economic development in the county, getting wage workers to jobs in Loudoun. Currently, the worst-performing routes cost the county as much as $46.92 per rider, where fares are only one dollar. Those most expensive routes will stop with the new fiscal year on July 1, leaving the most costly local bus route as Route 83 from Dulles Town Center to Wiehle-Reston East and costing $28.74 per rider. That route sees an average of just over two riders per hour. It and two other routes have also been marked for possible elimination in future years. By contrast, commuter bus service into Rosslyn, Crystal City, the Pentagon and Washington, DC, costs $9 with a SmarTrip card or $10 cash. Supervisors plan for that service to pay for itself through fares and advertising, which is estimated to break even at $10. Without state funding, Transportation and Capital Infrastructure Director Joe Kroboth said fares would have to increase about $1.50. Maybe if you charged parents 2 dollars a day for bus service you could use that money to defray the cost to the taxpayer of this horrible waste of money, system. Name 1 single transportation system that is revenue neutral. It’s an absurdity to expect mass transit to fit a level of expectation that NO OTHER transit system meets. Roads are in no way paid for by gas taxes, that’s why the state has a massive hole in it’s transportation budget. Air travel wouldn’t work without the MASSIVE federal subsidy called the FAA. I say buy some busses, that leaves the rest of us drivers with more space in the lanes. The Supes don’t seem interested in saving money at all — just getting buses in their own districts. Ashburn is rich and suburban. That is why there are no buses there going around empty. I thought Republicans were in the majority? Not sure how a system can attract riders when the buses don’t stop in residential areas, don’t visit areas where people are. How is having to drive to the bus stop efficient? Why would anyone use public transportation when it takes longer to get to a bus stop than the actual trip? Why would anyone use a service that needs several hops on different lines to get anywhere? Driving between shopping areas never makes sense – this only ‘checks the box’ for ‘we offer transportation’ without solving the problem of offering usable and popular transportation. Increase the bus stops, place the stops in the midst of heavy residential areas, take people where they actually need to go. Schools, jobs, churches, medical centers, pharmacies – not just shopping areas. Older larger metropolitan areas don’t have school buses – kids use public transportation. Maybe some version of this should be considered – even for after-school activities. That would increase usefulness, ridership and win subsidies. Maybe someone with real transportation planning experience could be consulted – if they can stop laughing at the unbelievably backward lack of transportation in this urban area. Friends coming from large urban areas are always bewildered by the void of useful transportation – they cannot believe how “ya can’t get there from here?”. Either completely stop the wasteful farce or create a real urban system. Maybe MM, the old CEO from VRT can fix it. Oh wait…..he’s still doing time in prison for embezzling FTA funds.